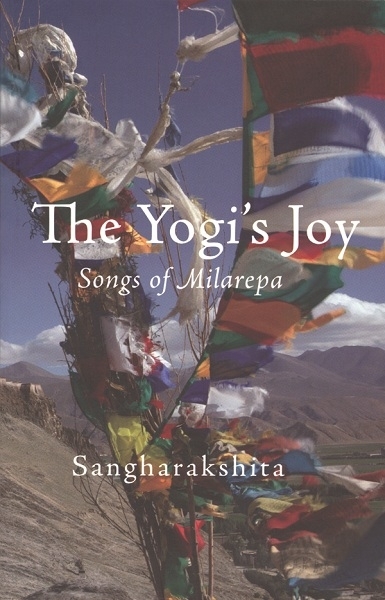 In The Yogi’s Joy, Sangharakshita explores some of Milarepa's 'hundred thousand songs’ to help show how their lessons are relevant to us today. The most recent edition of this book is found in Volume 18 of The Complete Works of Sangharakshita, and is available in hardback, paperback and eBook format. Milarepa was a much-loved Tibetan yogi, poet, and teacher. His ‘hundred thousand songs’ have inspired and guided Buddhist practitioners for centuries, yet examinations of them are few. The Yogi’s Joy explores some of these songs to help show how their lessons are relevant to us today. In these songs we find such themes as fear, honesty, self-respect, practising with others, the student-teacher relationship, and how we can make teachings our own. Sangharakshita draws out these elements, bringing alive the delight, joy – and challenges – of this revolutionary guru.